The “PT Success” guide is indispensable if you are seriously considering a degree in physical therapy. By understanding all the essential questions ahead of time, you can save yourself a substantial amount of time and greatly reduce your frustration level. The step-by-step process utilized in this book will help you to confidently and successfully navigate through the complex process of researching, choosing, and applying to one or more DPT programs. 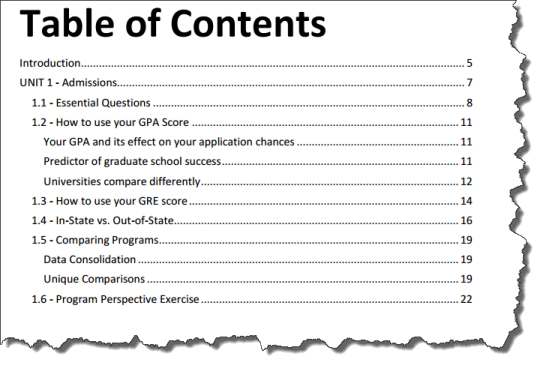 Below is a quick peek at “Unit 1” of this FREE guide. Use the form below to gain instant access to “PT Success” in an easy-to-download PDF file.